InterNACHI provides extensive content and services for members. The full extent of this content is very valuable, but makes for dense reading. 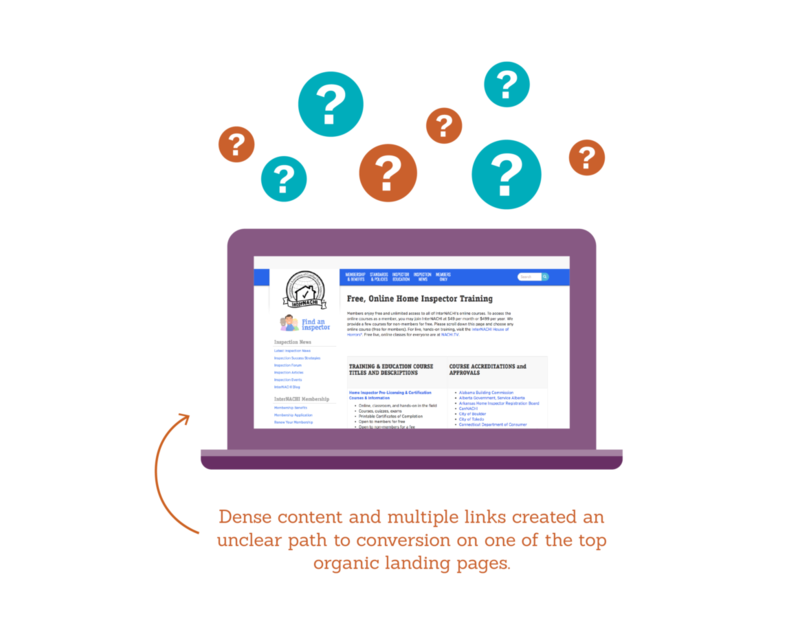 An ongoing challenge has been guiding visitors through a clear path on a site with lots of content and many paths. One of InterNACHI’s top organic performing pages was an extensive list of education courses that wasn’t guiding people to conversion as clearly as intended. This page provided content targeted way deeper in the conversion funnel [i.e. more valuable], yet the conversion rate was about one third that of the home page. 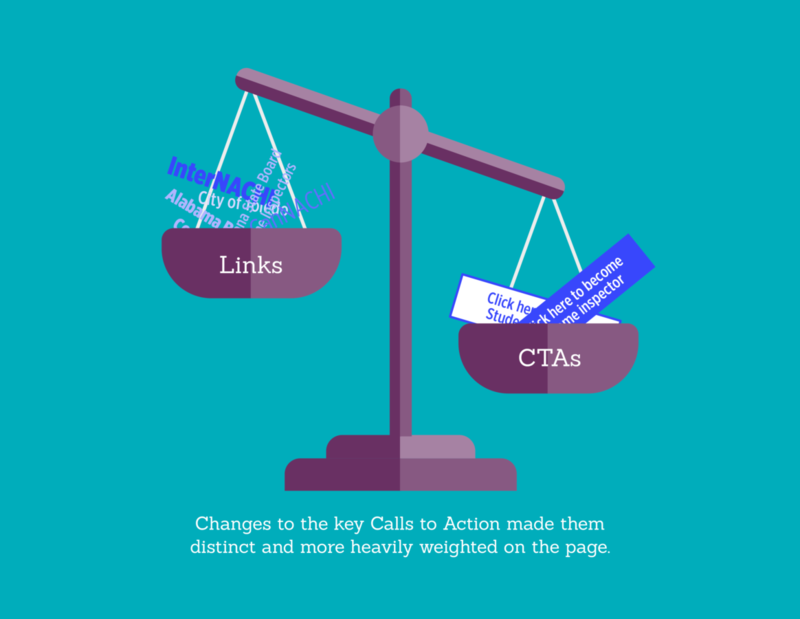 We recommended that our client test out changes to these key Calls to Action—making them more distinct on the page, to see if that could increase clicks to the signup pages. 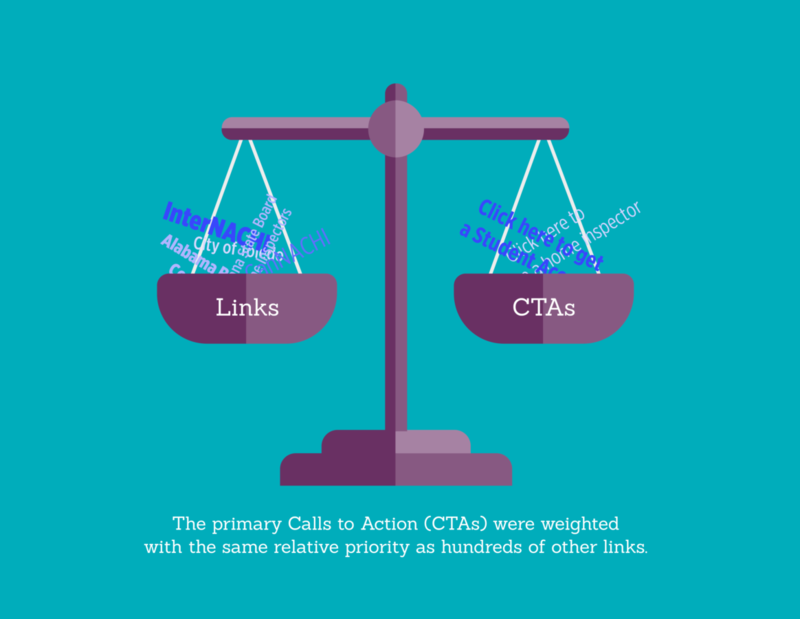 InterNACHI altered the CTAs from text links to buttons and ran an A/B test for 6 weeks. 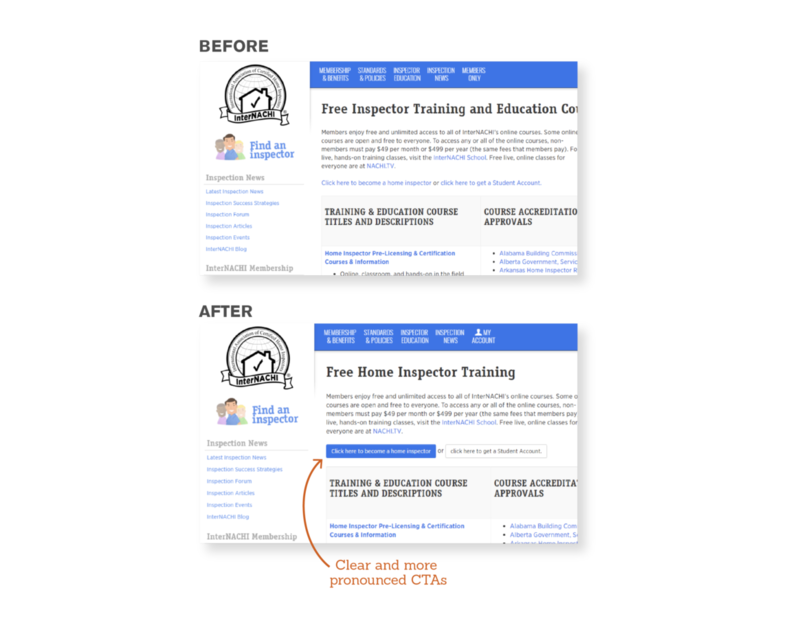 Clicks-through to the Become a Home Inspector Page increased 34%. Clicks-through to the Get a Student Account Page increased 77%. Visitors reaching these pages have a much higher conversion rate (10-11% vs. less than 1% sitewide). By driving more traffic to these high-converting pages, we expect to see a lift in application completions. Interested in learning more and/or kicking off Analytics projects like this in your company?